One of the biggest speech problems is stuttering in children, and this condition can cause embarrassment and shame in the child. 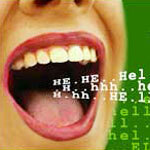 What causes stuttering though, and how can it be treated? According to speech experts stuttering in children and other common speech impediments are caused by a number of different factors. Genetics plays a role in stuttering, and this has been shown because this condition has a tendency to run in families and usually affects more than one family member. Speech disorders in children, including stuttering, can also be caused by developmental factors. Children who are going through a rapid stage of development may stutter, but this condition is commonly seen starting in preschool. Expressive Language Disorder – How Can My Child Get Past It? Expressive language disorder is a communication disorder involving the incapacity of a child to instinctively use language while conversing. Included in such deficits would be a lack of sentence structure and vocabulary development. One of every four children may have a level of expressive language disorder. This may be associated with a learning disability, environmental dynamics, or even mental retardation. 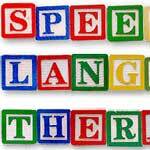 Early intervention speech therapy is of the utmost importance when treating expressive language disorders. Typically, expressive language disorders are experienced by children. This disorder may be developmentally related or acquired by a brain damaging head trauma. Either cause will relate to verbal apraxia and speech impediments. A child with expressive language disorder will find verbal expression difficult. This disorder will affect each child differently. Cleft Palate Speech Therapy – There Is Always a Hope! Cleft palate, a birth defect in which the roof of the mouth is incompletely developed, is a condition which will result in speech disorders in children. With speech and language pathology, a knowledgeable therapist will use methods of cleft palate speech therapy for minimizing speech impediments between and after surgical procedures performed to correct the condition. Since cleft palate will lead to delayed speech and other speech disorders, cleft palate speech therapy is of the utmost importance. With a structured cleft palate speech therapy program, the possibility of the child outgrowing any speech impediments is very good. Speech Impediments Treatment – How to Get Back on Track? Speech impediments, another term for a speech disorders, are a disruption of normal verbalization due to stuttering or lisping, thus preventing a normal fluency of a simple sentence. A phonological disorder such as speech impediments or expressive language disorders may lead to psychological issues such as low self esteem as well as deferred vocational and emotional development. Stuttering in children projects a social stigma which can form a child’s level of self confidence for the rest of his or her life. 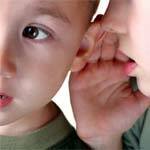 In fact, any speech disorder which will manifest obvious speech impediments like verbal apraxia, stuttering or cluttering, will compromise a child’s confidence in any area of their young life. Phonological Disorder – How to Fix It? Phonological disorder is an inability to produce the necessary sounds for age appropriate speech. When a child has a phonological disorder, he or she will not only find it difficult producing such sounds, the child may also substitute or omit sounds as well. With early treatment from a speech and language therapist, a child may overcome such speech and language impairments as early as six years of age without much difficulty. In fact, milder forms of a phonological disorder may resolve on its own. Verbal apraxia is a speech disorder which involves the inability to properly make speech sounds due to the lack of oral motor coordination. Such oral muscles include the lips, tongue, and the face resulting in the incapability of expressing words in a proper and constant manner. This speech disorder is either a child development issue present at birth, or an acquired disorder caused from a brain injury, stroke, or brain affecting illness more typical in adults. Common to either cause, however, speech and language impairments are present in anyone diagnosed with verbal apraxia. Speech disorders in children affect millions of kids every year. This includes stuttering in children as well as many other speech and language disorders. If you child shows difficulty with normal speech, or does not seem to be developing at the right pace, then you may need to have them evaluated by a speech therapist for treatment. Developmental delays may be a sign of other problems with normal speech and language skills. This is one of the speech and language impairments that can profoundly affect learning. Cluttering is just one of the many speech disorders in children and adults that can affect your life in a negative way unless treatment is sought. 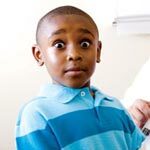 With this condition your child’s speech becomes cluttered, because they are saying exactly what they think but their thoughts are rapid and may not go together well as they verbalize them. This disorder is similar to stuttering in children, but with a few differences. Speech and language pathology includes a wide variety of disorders and conditions. Both children and adults can be affected by speech and language disorders, and therapy or educational programs may be indicated to treat these problems. 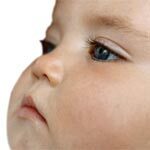 Many disorders become apparent early on, while others may not become known until later in childhood or life. Speech and language impairments include any disorder or condition that interferes with normal development and learning in these areas.